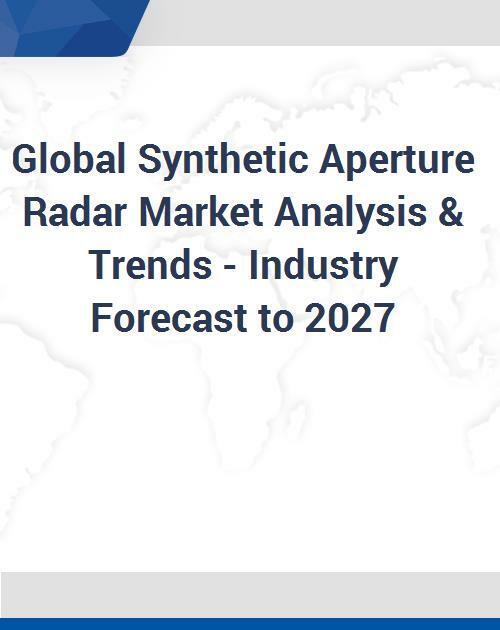 The Global Synthetic Aperture Radar Market is poised to grow strong during the forecast period 2017 to 2027. Some of the prominent trends that the market is witnessing include Transformation of commercial aircraft to MPA through SAR integration, Preference for integrated C4ISR ecosystem and Usage of SAR in mapping forest biomass. Depends on Frequency Band, the market is categorized into L Band, S Band, C Band, X Band, Ultra High Frequency/Very High Frequency, K/Ku/Ka Band and Other Frequency Bands. By Component, the market is divided into Antenna, Transmitter and Receiver. Amongst Mode, the market is classified into Multimode and Single Mode. Based on Platform, the market is segmented into Ground, Airborne and Space-based SAR. Airborne sub-segmented into Aircraft, Unmanned Aerial Vehicle and Spacecraft. Depends on Application, the market is classified into Commercial, Military and Defense, Communication, Aerospace Agriculture, Financial commodity markets, Energy, Shipping and transportation, Financial commodity markets, Scientific Research and Other Applications. Commercial further classified into Natural Resource Exploration, Environmental Monitoring, Public Safety and Other Commercials. 12.2 Israel Aerospace Industries Ltd.
12.5 General Atomics Aeronautical Systems, Inc. Note: North America, Europe, Asia Pacific, Middle East, Latin America, and RoW tables are represented in the above manner.